KoopaTV: The Nintendo Entertainment System... Returns? I do think that Nintendo wants to capitalise on the sudden wave of nostalgia people have for them. We know Nintendo and Pokémon are separate from one another, but the people feelin' this wave of nostalgia don't necessarily know that. So, if nostalgia from 20 years ago gets people going, why not nostalgia from 30? Speaking of 30, let's talk about that 30-game pack-in. One of the ways the NES differentiated itself from its cheap “competitors” (or, unlicensed garbage on the console) is that competitors had crap like 52 games in one for Action 52. Or 50 games in one for Cassette 50. To compare, every legit NES cartridge was its own game. For the most part. There were... some compilations. Not to the scale of 30, though. The Power Player Super Joy III “console” had 76 games in one, all built in (or thousands times more, depending on what you think of the marketing). And some of those included actual Nintendo-owned games that'll be in the NES: NES CE. Just not legally. So yeah, Nintendo is literally going the same route that their unlicensed pirate competitors have been doing for decades. At least it's not with new content. 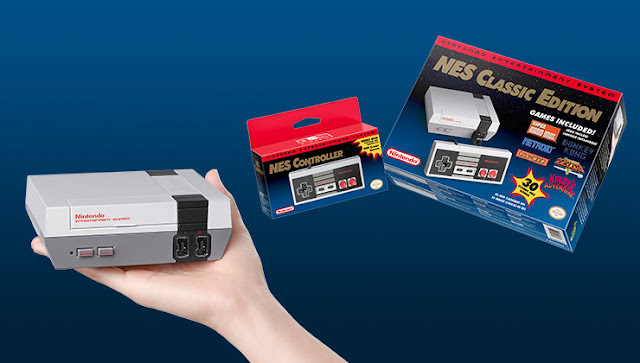 It's also cheaper than some of Nintendo's previous efforts to re-release NES games, like the Game Boy Advance's $20-per-game Classic NES Series. Ice Climber isn't worth $5, what makes you think it's worth $20? Should you buy the Nintendo Entertainment System: NES Classic Edition? Probably not, unless you haven't played most of these games and want to. It's cheaper than buying them all on the Virtual Console. But if you haven't played GOOD classics like Mega Man 2, Punch-Out! !, and Kirby's Adventure by now, then I'd like to ask you why. Ludwig never owned one of those crappy compilation games. He almost wants to so he can laugh about how bad it is, unless they are so bad it's bad. Fortunately, the games on the NES: NES CE are tried-and-true, though he doesn't think all of them are good and definitely doesn't recommend them all. If you want an experience kinda similar to Punch-Out!! on the NES, try Trayvon Tyson's Punch-Out!! made by KoopaTV! It's November 11, and the Nintendo Entertainment System: NES Classic Edition is released! To high demand and low supply. Ludwig never understood the appeal of the NES: NES CE, but now he won't have to since it's discontinued. While the NES: NES CE got discontinued, next year brings the SNES: SNES CE. Nintendo has already got the 30 year hype going with the Nintendo x Van's. So the 30 year hype was already there. Shoes don't compare to games. Not in any way that makes sense. Well imagine if all video game characters had no shoes. Well, Ludwig doesn't wear shoes. King Dad doesn't. Yoshi and the plumber do, and that probably contributes to their weight when they jump on people. So shoes seem like a net negative. Link would have to just gain a ton of weight instead of wearing Iron Boots. Probably for some more hipster cred. I think it's a great idea, personally. It's an easy way to experience the classics. I know the Genesis version does fairly well. I think I may pick it up myself for collectors purposes, since I don't own an NES. "Hey Fred, look at my baby NES! I'm hipster-er than you!" The whole point of Virtual Console is to experience classics on the same console you play regular stuff with. With a more comfortable controller, 'cause let's face it, the NES controller ain't the greatest. With so many classic games being rereleased over and over again, it makes me excited for what's in store. I can't wait for New Super Mario Bros. HD on the NX!